So friends, family and the in-laws may be in town for the holidays, and with Christmas just two days a way, low cost activities might be in order. Here are a few options if you are up for a little jaunt about town. 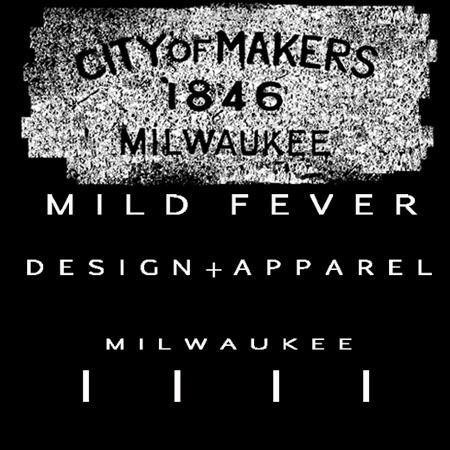 Meeting at 1pm in the Shops of Grand Avenue Mall, Historic Milwaukee is holding guided tours of the skywalks connecting downtown Milwaukee’s buildings. The tours are scheduled to take place today, tomorrow and Christmas Eve. Historic Milwaukee docents do a great job with providing interesting tidbits that are wrapped in their own personal experiences. The tours are $10 for non-members and $2 for ages 17 and under. Historic Milwaukee is also the sponsor of Doors Open Milwaukee, an event that had marvelous success bringing people to experience downtown on self-guided tours of Milwaukee’s buildings that places that aren’t often completely open to the public such as the observation deck of the US Bank Building, Jones Island waste treatment facility, the Central Library, and Milwaukee School of Engineering’s Grohmann Museum. During the summer months, Historic Milwaukee offers guided walking tours of the Third Ward and Boat Tours of the Milwaukee, Menomonee and Kinnickinnic Rivers as well. After checking out the skywalk tour, Downtown Milwaukee has a number of street scaped Christmas light displays. Local Trolley suggests taking Wisconsin Avenue east starting at Water Street, following the bend at Prospect Avenue and turning west on Mason Street to see the Northwestern Mutual tree lights, continuing west to Water Street then heading north past City Hall and the Performing Arts Center to State Street, turning west (left) on to State Street heading to Old World 3rd Street past Pere Marquette Park and turning south on 3rd Street then east on to Kilbourn Street driving to Jackson Street turning south on Jackson Street past Cathedral Square, then west on to Wells to Water Street where you head north on Water to Red Arrow Park for Ice Skating or at least watching people ice skate. Skating is free if you bring your own skates! If you don’t feel like driving around you can also pick one of several places in downtown Milwaukee with Christmas Tree displays that you can admire with a mug of coffee or cocoa. Two of those places City Hall and Cathedral Square were already mentioned. What I didn’t mention is that Catherdral Square’s Christmas Tree display features trees decorated by local schools and non-profit groups, and has Christmas Music playing from stereo speakers. Across from City Hall, if you prefer indoor settings, a very nice tree, reaches up the foyer atrium of the Intercontinental Hotel. Another option is Catalano Square at the south end of Broadway Street in the Third Ward. The nearest coffee shop is a two block walk to Bella Cafe on the corner of Milwaukee and Chicago Streets, or Veduras Tea Room on Broadway just north of Catalano Square. Do you have any Christmasy activities to suggest! Feel Free to add them in the comments! MERRY CHRISTMAS!! This entry was posted on December 22, 2011 by L.S. Trolley. It was filed under Happenings and was tagged with activities.